Some customer surveys seem so selfish. They annoy me. HOWEVER, when was the last time you & your management team directly asked your customers about how they are doing? How about their perspective on your company’s competitors? Now THAT is engaging. It’s amazing the valuable information you can uncover if you simply change the questions & ask your clients DIRECTLY vs. outsource customer feedback to the marketing department. Are ALL of your executives (& middle managers) having a 4Q conversation with at least one end user weekly? • a) How are YOU doing? • b) What’s going on in YOUR industry/neighborhood? • c) What do you hear about OUR competitors? • d) How are WE doing? 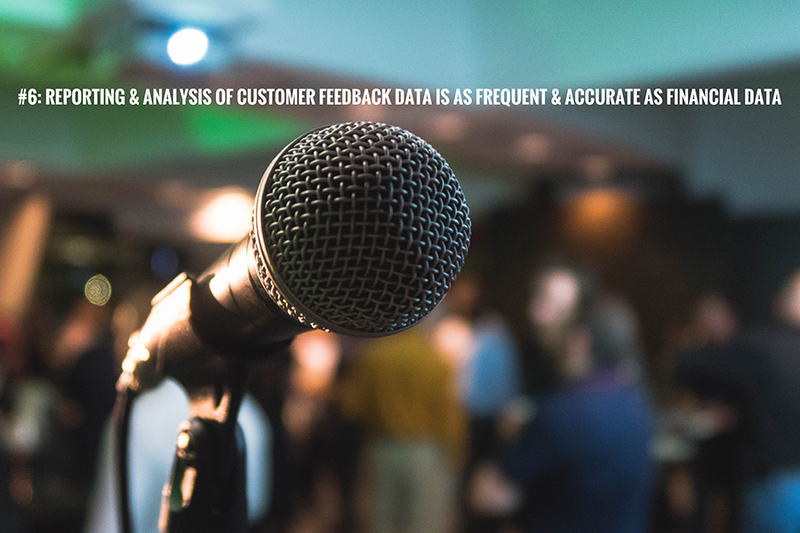 Are the insights from customer conversations shared at your weekly executive team meeting? Are all employees involved in collecting customer data? Do you have a mid-management team responsible for the process of closing the loop on all customer feeback? If you are actively addressing these, congrats! If not, we’re here to help. *Verne Harnish created the “Rockefeller Habits” based on the leadership and management principles used by John D. Rockefeller. #6 of 10 Rockefeller Habits.